From the beloved New York Times– bestselling author, a quintessential Nick Hornby tale of music, superfandom, and the truths and lies we tell ourselves about life and love. Now a major motion picture starring Ethan Hawke. Nick Hornby returns to his roots—music and messy relationships—in this funny and touching novel that thoughtfully and sympathetically looks at how lives can be wasted but how they are never beyond redemption. Annie lives in a dull town on England’s bleak east coast and is in a relationship with Duncan that mirrors the place; Tucker, once a brilliant songwriter and performer, has gone into seclusion in rural America—or at least that’s what his fans think. Duncan is obsessed with Tucker’s work to the point of derangement, and when Annie dares to go public on her dislike of his latest album, there are quite unexpected, life-changing consequences for all three. Nick Hornby uses this intriguing canvas to explore why it is we so often let the early promise of relationships, ambition, and indeed life, evaporate. And he comes to some surprisingly optimistic conclusions about the struggle to live up to one’s promise. 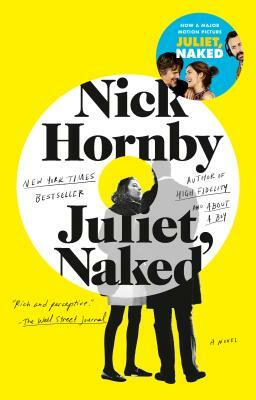 NICK HORNBY is the author of the internationally bestselling novels High Fidelity, About a Boy, A Long Way Down, Slam, Juliet, Naked, and Funny Girl, as well as several works of nonfiction. He lives in London.